Despite having lived with Crohn’s disease and arthritis all of his Life, Jason built an impressive career in network television as a writer, producer and executive. Now he shows audiences how to overcome adversity by serving others, how to succeed in the face of illness, and how to effectively manage people with chronic diseases in the workplace. Jason has been living with Crohn’s disease and arthritis for four decades, but has never let that stop him. Despite his significant health challenges, he has been a successful journalist, TV executive, award-winning story-editor, and professional speaker. 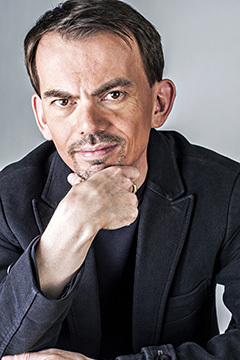 Jason’s sense of humour and compelling personal stories have made him a favourite with a wide range of audiences – from people living with adversity, to health professionals, HR audiences, business organizations and more. Jason is uniquely suited to talk about illness and work. He has been on both sides of the fence – having been both an ill employee, as well as a senior manager in a demanding industry. 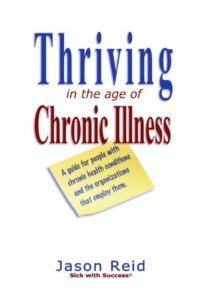 Jason is author of the book Thriving in the Age of Chronic Illness – A guide for people with chronic health conditions and the organizations that employ them. These talks can be customized for your organization. Additional talk topics can also be created. When we face life obstacles such as long-term illness, we often withdraw and avoid activities that build personal growth. There are times when that work promotion, new project or personal challenge is just what we need to add energy and vitality to our lives and add value to those we serve. Jason takes you on an inspirational journey filled with funny and emotional true-life stories to show you what is possible in even the worst of times when you take responsibility for inspiring yourself and others. Getting others to understand the challenges of living with an invisible illness is a difficult task. Jason looks at how our society has historically viewed sickness and disability, and why that needs to change. He also shares engaging and sometimes humorous personal stories and advice about how we can best communicate with others and change their views. Government statistics show that one in three working-aged adults have a chronic illness – and that number is expected to rise dramatically. The question is not should we adapt to a chronically ill workforce but how? Available as either a keynote or breakout workshop, Jason’s interactive program reveals how our outdated views of illness cost organizations billions of dollars in lost productivity. Participants will learn about the new paradigm of illness, and examine ways to reduce stigma and presenteeism. Participants will also come away with five simple, but powerful action items to engage employees with chronic health challenges and increase productivity and engagement. This program can be a great addition to your disability management or leadership training initiative. It can also be an important addition to your diversity training. Educate your organizational leaders and improve productivity by booking Jason today! A guide to productivity and engagement for ambitious people with chronic health conditions, and the organizations that employ them. • The crucial differences between chronic illness and traditional disease. • Why current policies and programs related to employee health are not effective for people with chronic disease. • The best strategies to engage workers with chronic health conditions. • How to develop a good relationship with your employer. • How to fight fatigue. • How to think and work better when you are sick. • How to manage your life to maximize your energy. Books can be ordered for a substantial discount if you would like to use them as gifts or giveaways. Looking for Jason’s speaking information on Storytelling and Powerful Presentations? click here.